I still love capturing the boys moments together. This is them looking at a book Nicholas checked out of the library. I love how they don’t even realize they are sitting alike. I came a little closer so I could see what they were reading. Some graphic novel, I think. 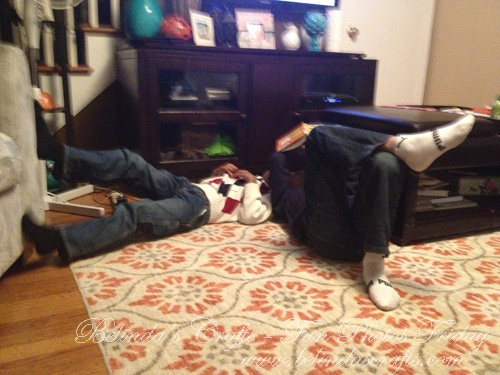 As I watched them, they decided to take the fun to a reclined position. Sorry for the blur but they were wiggling and I was rushing to get the shot. 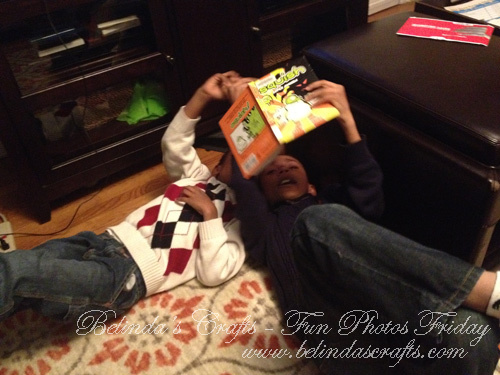 Nicholas read to his brother. I love hearing them read. 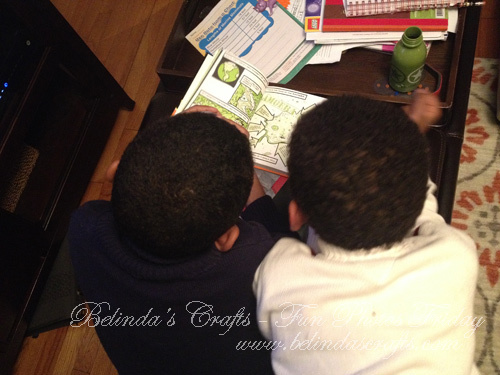 I can’t help but smile when I see them play together and especially when they read to each other. 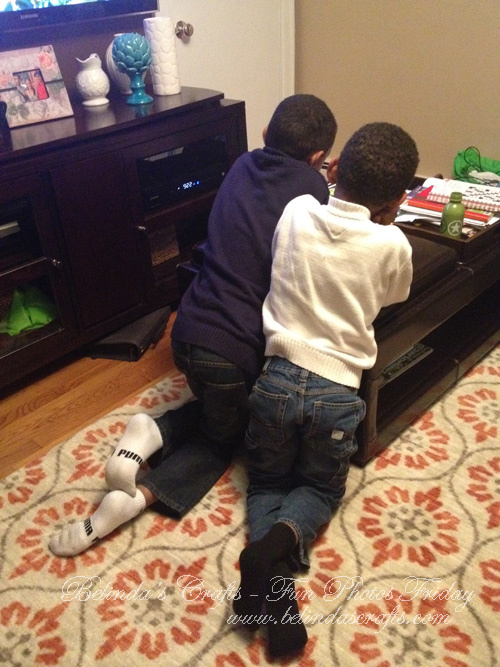 Now that’s brotherly love in action. I’m missing them today while they are at school today. But having a nice time in my craft room! These photos are so precious! You will all treasure them for years to come!